Laurie and I have been making music together for the past 40 years…it doesn’t seem that long! Some of you will have heard us play in Victoria or elsewhere. 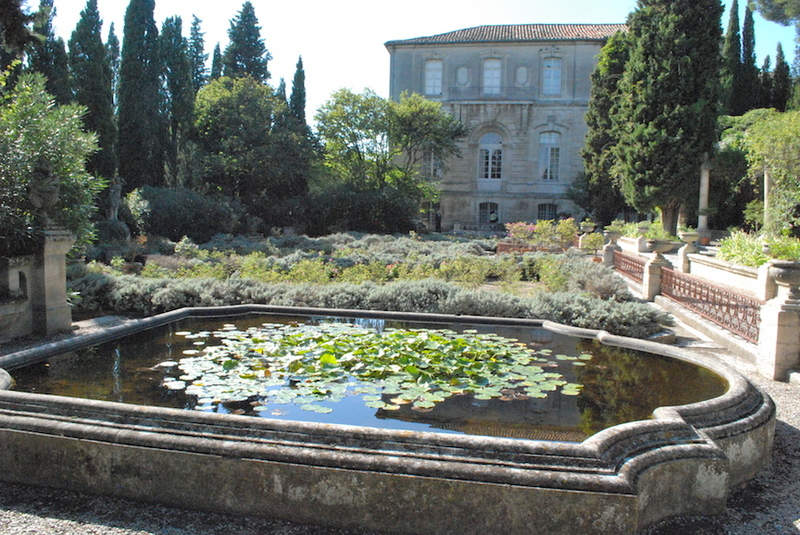 I’m pleased to tell you that, as one of the four concerts on our tour, we will perform some of our favourite music for you in a remarkable mansion just across the river from Avignon. The former Abbaye St. André was owned most recently by a curator at the Louvre. Now her niece, Mme Christine Viennet, is in charge of the property, and of her aunt’s extensive collection of objets d’art. Mme Viennet is also an accomplised ceramic artist in her own right. She will give us a tour of the house and gardens, and then Laurie and I will present a recital of music for violin and piano. 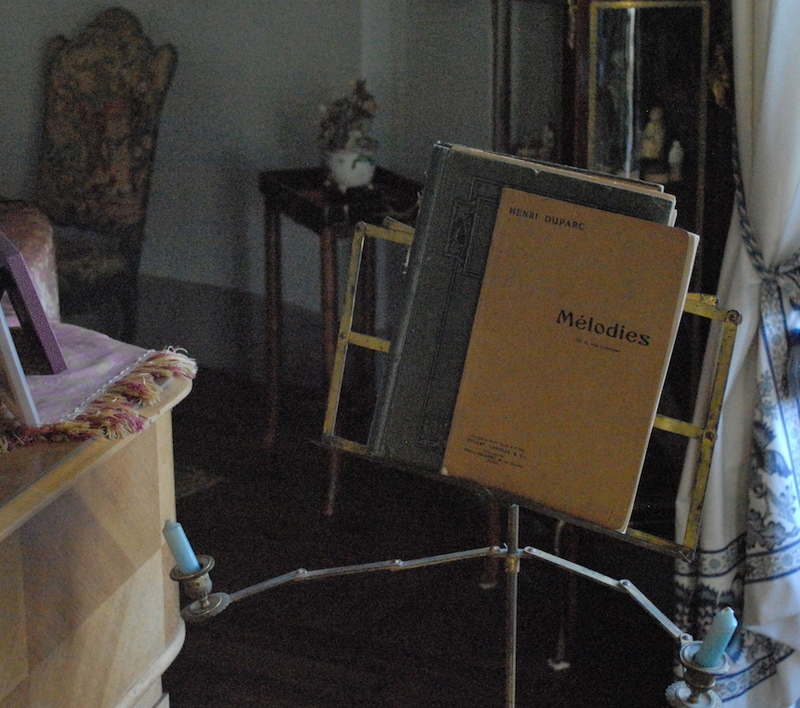 We’re still choosing the repertoire…any requests? Since the piano is a Steinway from the late 1800’s, we’re thinking of music from that era and earlier: probably some Fauré, Debussy, perhaps some Mozart. The venue is the grand salon, windows open onto the gardens, with the river and Avignon beyond. Here are a few pictures to whet your appetite! A quiet nook in the Abbey gardens. The salon for our afternoon musicale. 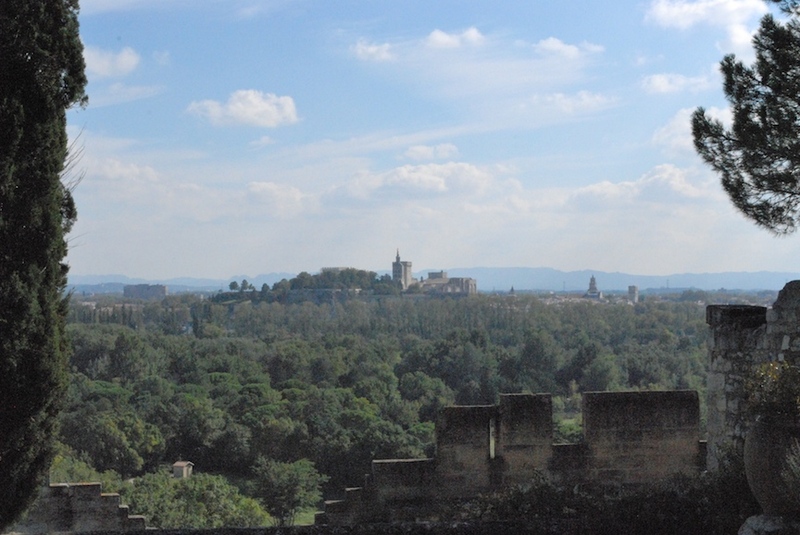 View from the St. André ramparts, over the Rhône river, to the Palais des Papes in Avignon. Click here for audio clips of performances by Laurie and Jamie Syer. 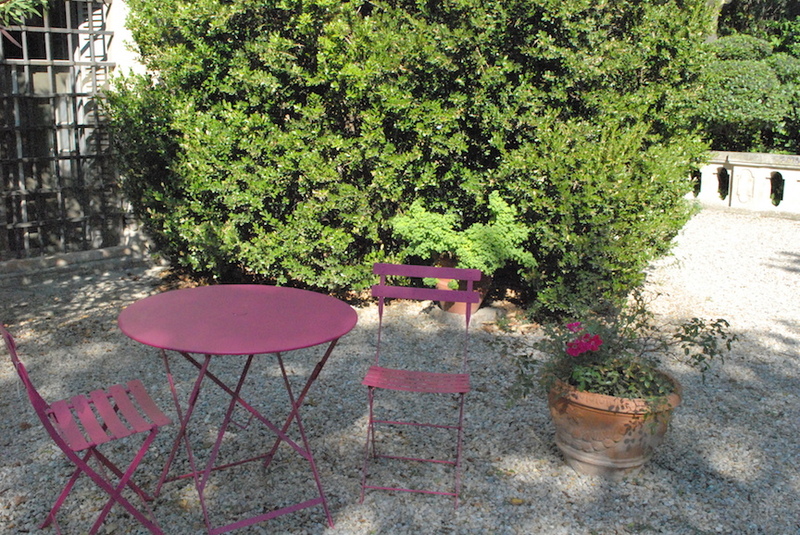 This entry was posted in Avignon, France. Bookmark the permalink.